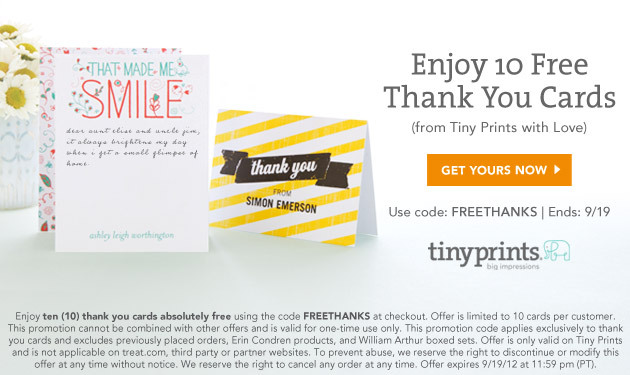 Want a gift of 10 FREE thank you cards? As a member of Tiny Prints affiliate program for business owners, I received an exclusive deal that I wanted to share with my readers. See the flyer below for more information...and don't delay because this deal ends soon. It only took a few minutes to select a design, customize my text and order my set of cards. While a small shipping fee applies, this is a sweet deal...and really, who doesn't like hearing the words "thank you" every now and then? Thank YOU for being a client and/or supporter of Lori Fuller Photography!